Deferred Income Taxes We have seen. in earlier chapters that differences sometimes exist between the way certain revenues or expenses are recognized in fisaricial statements and the way these same items are reported in income tax returns. 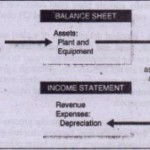 For example, a company may use the straight-LO’ 8 line method of depreciation in its financial reports but use an accelerated method in its Describe and account for income tax returns. _ deferred income taxes. 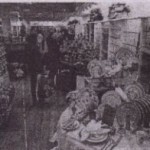 Another example is installment sales. 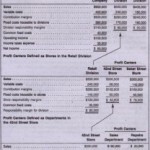 When a company sells merchandise on an in~ stallment plan, it usually recognizes the sales revenue immediately for financial reporting purposes. But in its income tax returns, the company may use the installment method. which postpones recognition of this sales revenue-untilpayrncnts are received from the customer. Because of such timing differences between accounting principles and tax rules, income reported in the income statement of one year may appear in the income tax return of a different year. (2) delay the recognition of revenue (such as the installment method). Income Taxes Expense :…….. Income Taxes Payable. is credited to a liability account entitled Deferred Income Taxes. 12 . Deferred Income Taxes In Financial Statements Whether deferred income taxes are classified as current or long-term liabilities depends on the classification of the assets and liabilities that caused the tax deferrals. For example, installment receivables are classified as current assets. Therefore, if the methods used in accounting for installment receivables result in deferred taxes, the deferred taxes are classified as a current liability. Depreciable assets, however, are not viewed as current assets. Therefore, if deferred taxes result from the use of accelerated depreciation methods in income tax returns, the deferred tax liability is classified as long-term. The amount of income taxes deferred during the current period is recognized as expense but does not require an immediate cash outlay. To the extent that a company is able to defer income taxes, its net cash flow from operating activities will exceed its net income. Bear in mind, however, that deferred income taxes are tax obligations that have been postponed to future periods. The company has not eliminated its obligation to pay these taxes. Growing businesses often are able to defer part of their income taxes expense every year. Of course, some of the income taxes deferred in prior years constantly are coming due. Nonetheless, the liability for deferred taxes usually’ continues to grow as the company grows-just as does the overall liability for accounts payable. Accounting for deferred taxes involves a number of complex issues that will be addressed in more advanced accounting courses. liabilities and Cash Flows How the payment of liabilities is classified in a statement of cash flows depends on the type of transaction creating that liability. If the liability stems from the recognition of an expense or the purchase of inventory, payment is viewed as an operating activity. Thus payments of trade accounts payable, accrued expenses, pension obligations, and income taxes are. all classified as operating activities. Most interest payments also are classified as operating activities.P If a liability is incurred for the purpose of borrowing cash or financing the purchase of a plant asset, repayment of the principal amount is classified as a financing activity.